Enough with the insular, mysterious Chinatown stereotype. 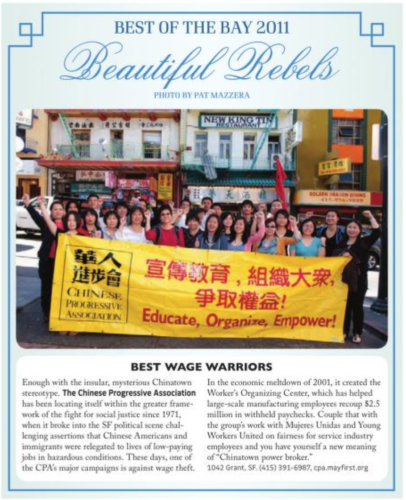 The Chinese Progressive Association has been locating itself within the greater framework of the fight for social justice since 1971, when it broke into the SF political scene challenging assertions that Chinese Americans and immigrants were relegated to lives of low-paying jobs in hazardous conditions. These days, one of the CPA’s major campaigns is against wage theft.